This book is a decisive contribution to the study of Kurdish history in Syria since the mandatory period (1920-1946) up to nowadays. 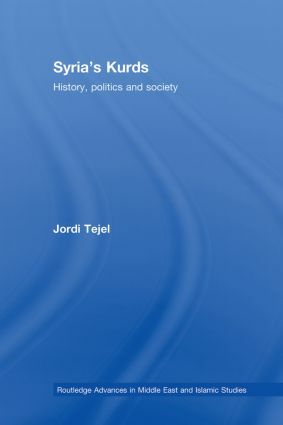 Avoiding an essentialist approach, Jordi Tejel provides fine, complex and sometimes paradoxical analysis about the articulation between tribal, local, regional, and national identities, on one hand, and the formation of a Kurdish minority awareness vis-à-vis the consolidation of Arab nationalism in Syria, on the other hand. Using unpublished material, in particular concerning the Mandatory period (French records and Kurdish newspapers) and social movement theory, Tejel analyses the reasons of this "exception" within the Kurdish political sphere. In spite of the exclusion of Kurdishness from the public sphere, especially since 1963, Kurds of Syria have avoided a direct confrontation with the central power, most Kurds opting for a strategy of "dissimulation", cultivating internally the forms of identity that challenge the official ideology. The book explores the dynamics leading to the consolidation of Kurdish minority awareness in contemporary Syria; an ongoing process that could take the form of radicalization or even violence.